It is annual Planning time. You need to create an organizational chart with pictures and designated titles and present to your boss. But you dont want to have to manually insert each picture one by one. How can you do that in PowerPoint? 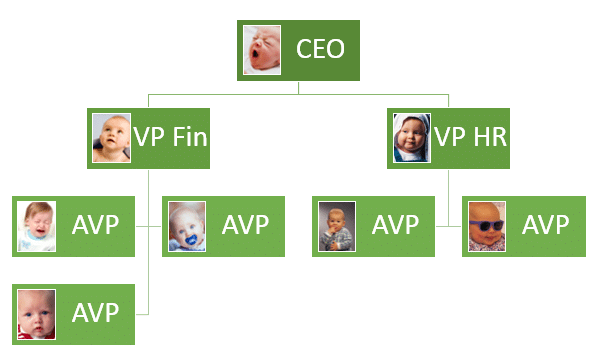 You need pictures of people who go into the organization chart. Save these in a single folder. Now all of the pictures are arranged in a straight line. Don’t Worry! Rearrange and you are done! 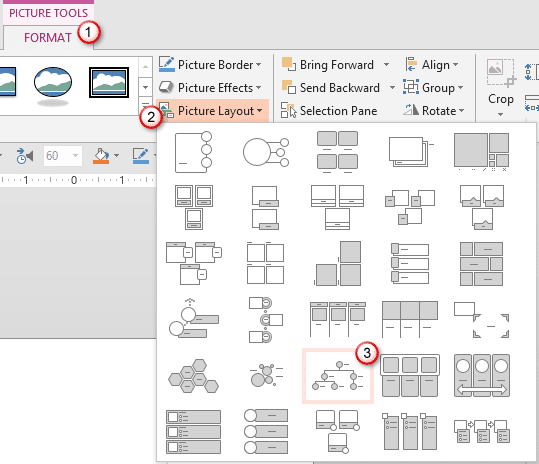 Choose the SmartArt – SmartArt Tools menu – Design – Choose another Layout. Only two layouts in this category support pictures. 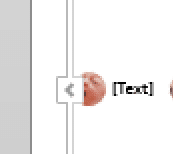 If PowerPoint chose a wrong area, click on the picture – Picture Tools – Crop. Now move the picture to select desired area. This part may have to be done repeatedly to get perfect results. Unfortunately, there is not shortcut available because PowerPoint does not know which region of the photos you want to show. This presentation contains three slides. 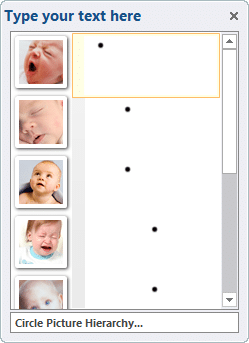 Hi, we also have a org charting tool which offers greater flexibility if you want to add images etc. Also you can style it in different ways to make the best use of the available space.